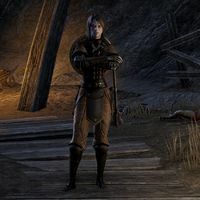 Nadafa is a Redguard vampire working for House Montclair. She is found inside Hildune's Secret Refuge at the end of the dungeon, alongside Leidmir Corpse-Caller and Beline. Reading her journal nearby will start the quest Love Lost. This page was last modified on 10 August 2018, at 19:54.